The show featured a live interview with Tree Top Industries, Inc. (TTII) CEO David Reichman. 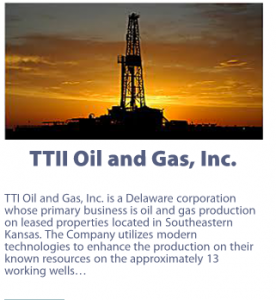 The Tree Top subsidiary, TTII Oil & Gas, Inc., a Delaware corporation, acquired all of the assets of American Resource Technologies, Inc. (ARUR). During the show Mr. Reichman will discuss new developments in the TTII Oil & Gas Production subsidiary. Cumulative oil production in Southeastern Kansas continues to grow. The Company’s expansion includes participation in two U.S. owned Brazilian companies as well as the 25% stake in a firm that has designed the new software, allowing the interpretation of data acquired via aerial or surface surveys. Through this information the Company can produce a 3D blueprint with the highest concentration of hydrocarbons in these areas. Tree Top can also deliver the means, though incubation, for private companies to become public entities in good standing. Tree Top is in the development stage, actively acquiring companies and technologies using several different business paradigms, including exchange of stock, joint venture, and other partnership configurations. 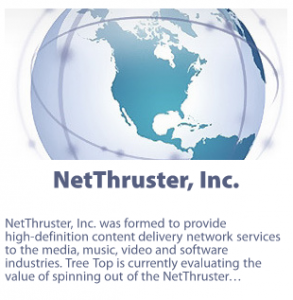 The Company also NetThruster, Inc. (NetThruster). 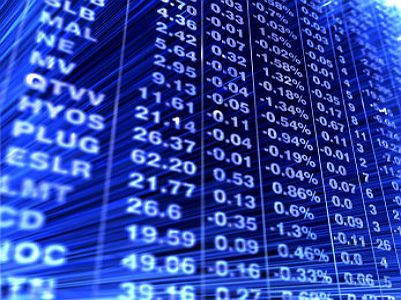 Tree Top Industries, Inc. (TTII) is a development-stage company. Universal Energy and Services Group, Inc.
International Eye Care Centers, Inc.
are wholly owned subsidiaries of Tree Top Industries, Inc. 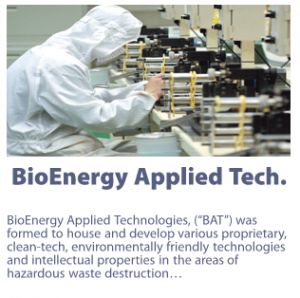 BAT is the originator and incubator of technologies useful in the areas of energetic materials, chemicals and chemical processes, gasification, and the safe and destruction of biological and other hazardous wastes. BAT maintains electrolytic technology that simplifies the production of bio fuels, specifically biodiesel and its byproducts.